In a dramatic turn of events, President Maithripala Sirisena's Sri Lanka Freedom Party withdrew from the ruling coalition and then sacked Wickremesinghe. Unity government was formed in 2015 when Sirisena was elected President with Wickremesinghe's support. The swearing in of former president Mahinda Rajapaksa as Sri Lanka's new Prime Minister is "illegal and unconstitutional", sacked premier Ranil Wickremesinghe asserted Friday. In a telephonic conversation with a TV station, Wickremesinghe said, "I will continue to be the Prime Minister. Mahinda Rajapaksa's appointment is unconstitutional." Similarly, Finance Minister Mangala Samaraweera tweeted that "the appointment of Mahinda Rajapaksa as the Prime Minister is unconstitutional and illegal. This is an anti-democratic coup". Within minutes of the statement, Rajapaksa was invited by Sirisena to take oath as the Prime Minister. The unity government was formed in 2015 when Sirisena was elected President with Wickremesinghe's support. Sirisena, who was Rajapaksa's minister of health, broke away from him to contest the presidential elections. 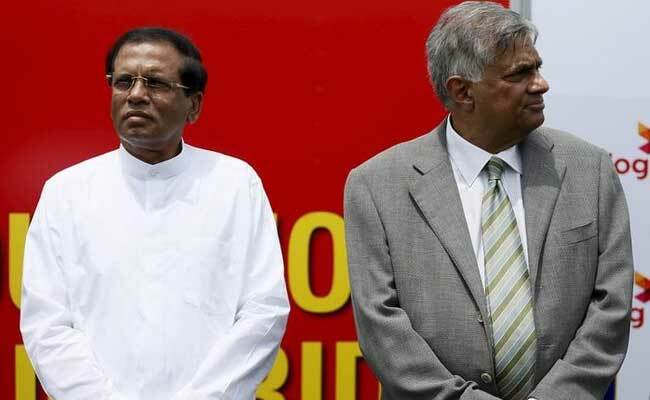 Political analysts said Sirisena's move to install Rajapaksa as the prime minister could lead to a constitutional crisis as the 19th amendment to the Constitution would not allow the sacking of Wickremesinghe as the premier without a majority. Rajapaksa and Sirisena combine has only 95 seats and is short of a simple majority. Wickremesinghe's UNP has 106 seats on its own with just seven short of the majority.